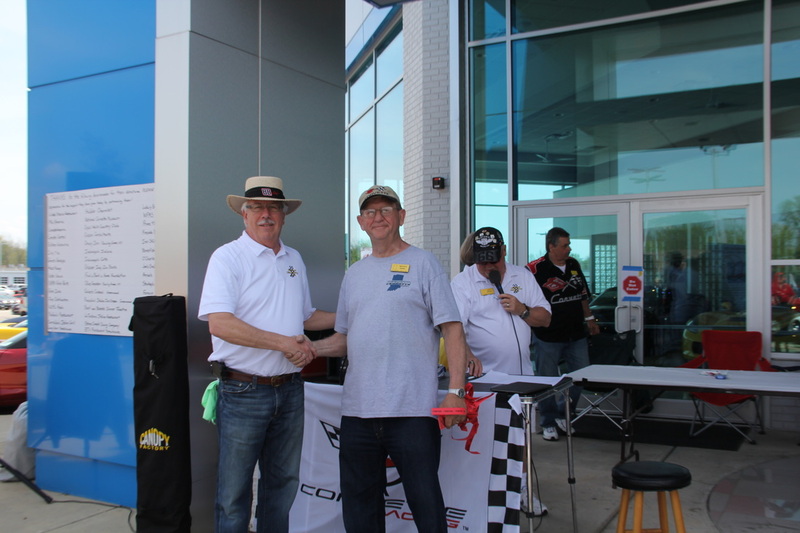 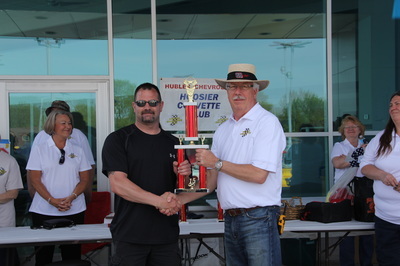 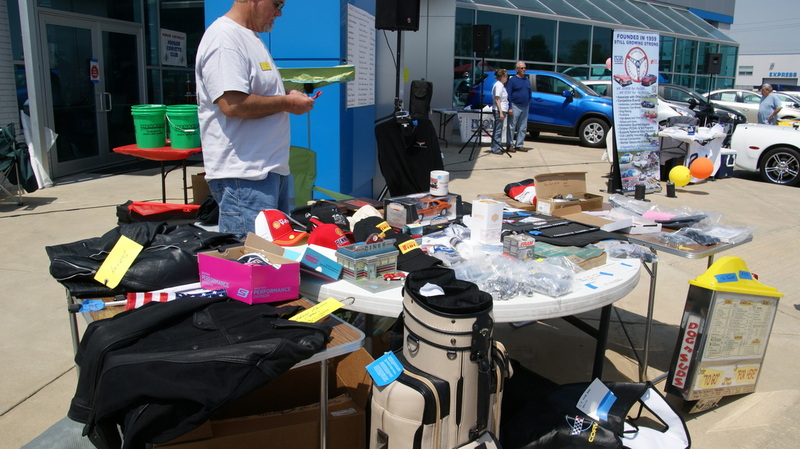 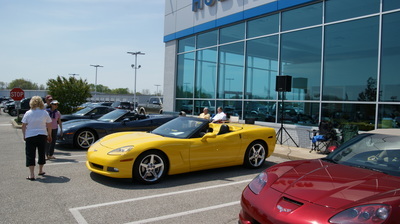 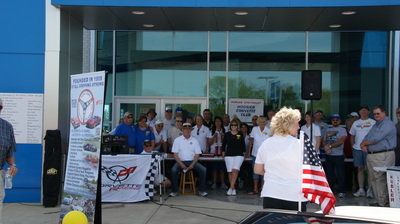 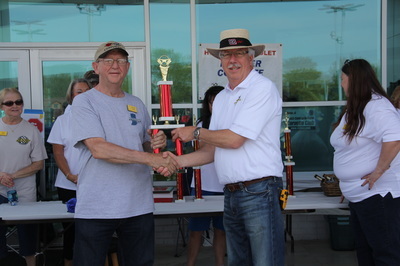 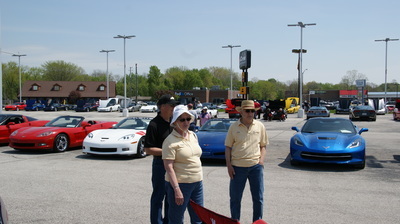 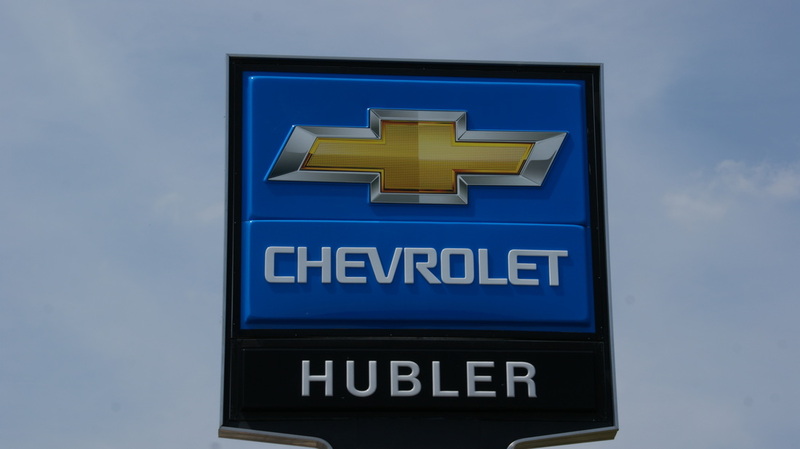 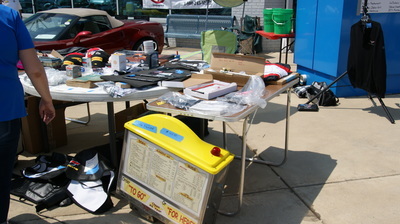 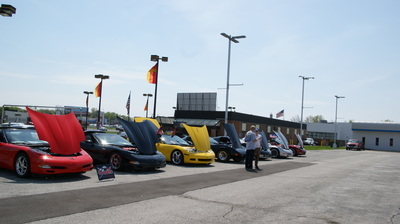 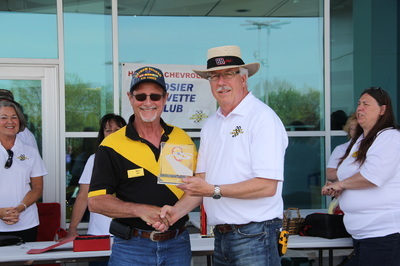 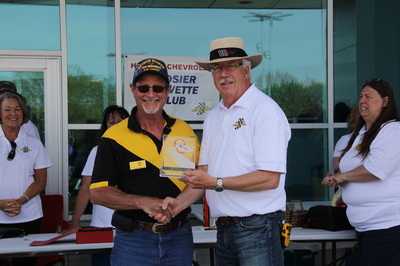 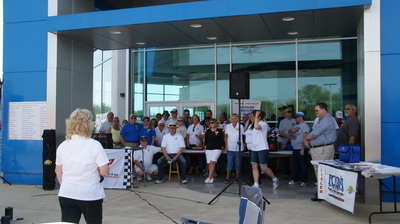 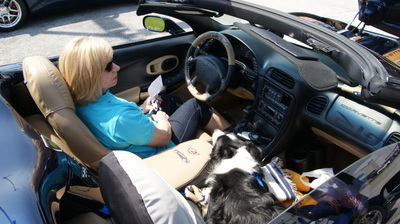 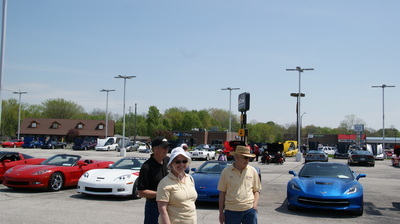 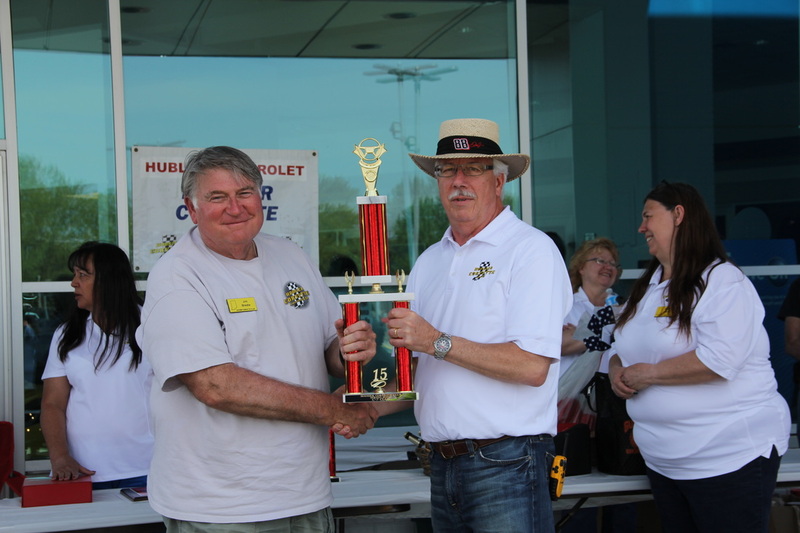 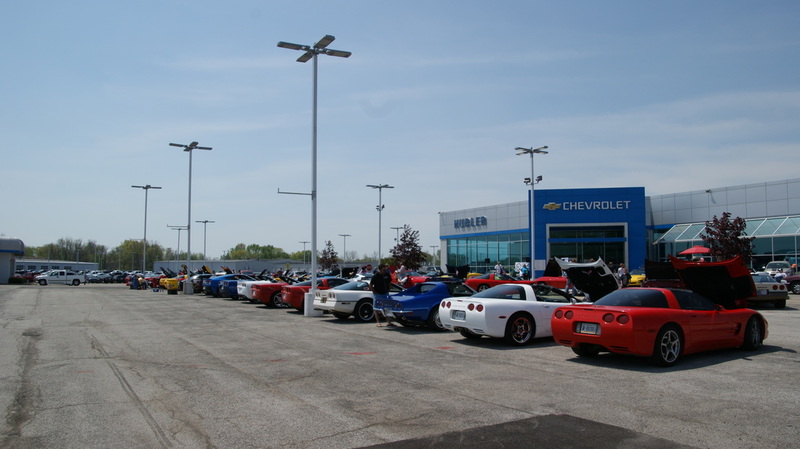 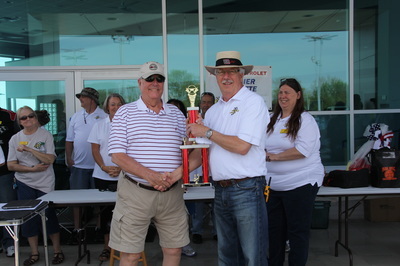 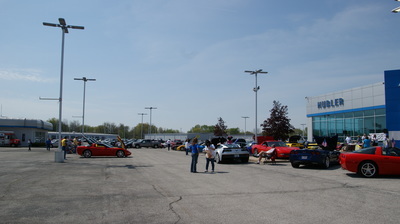 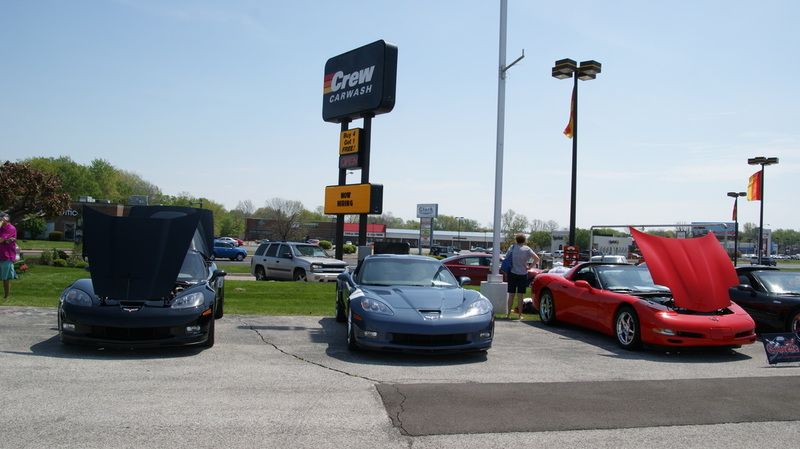 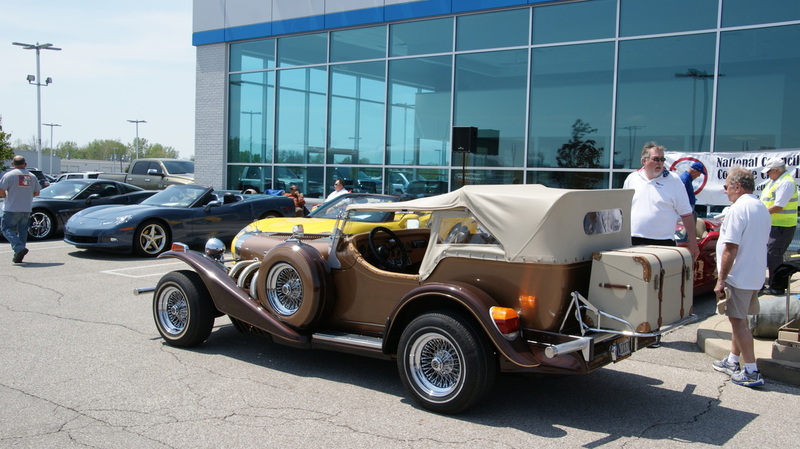 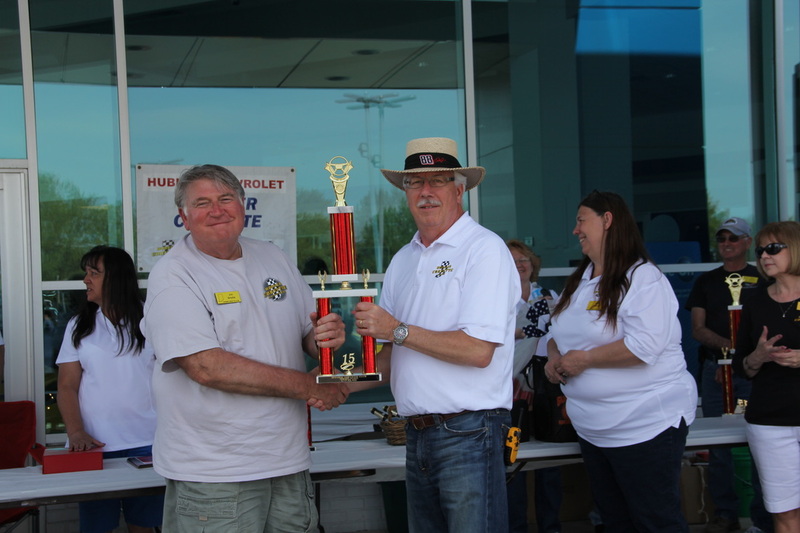 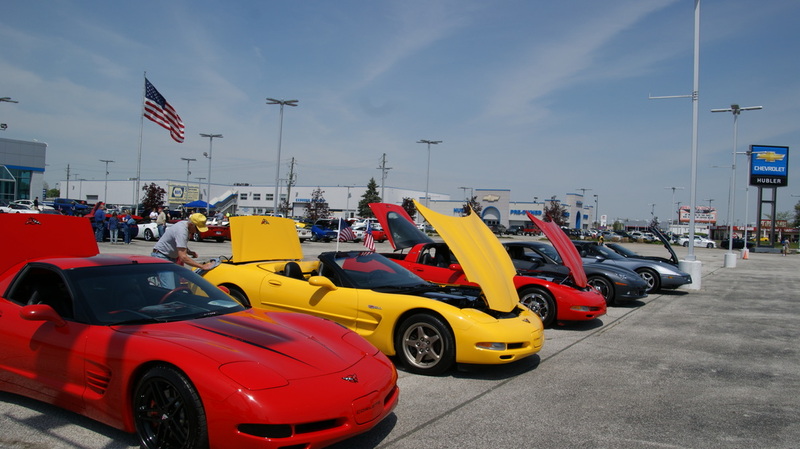 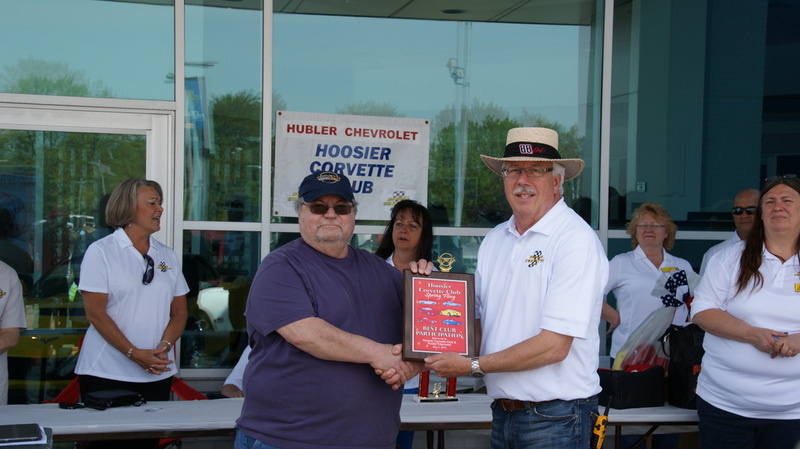 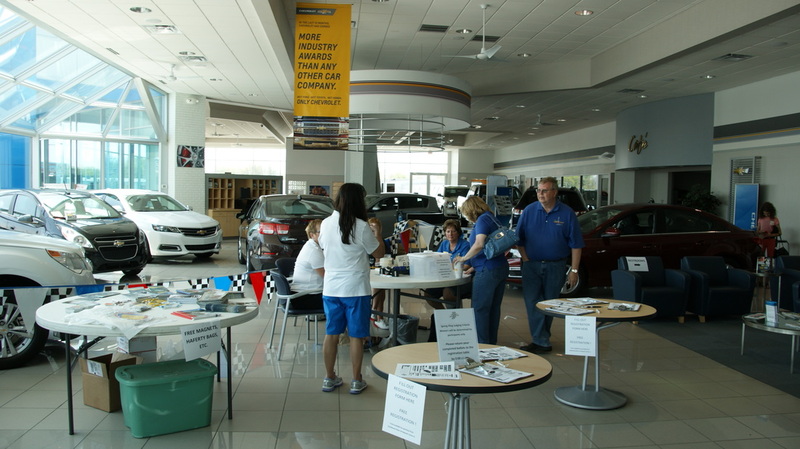 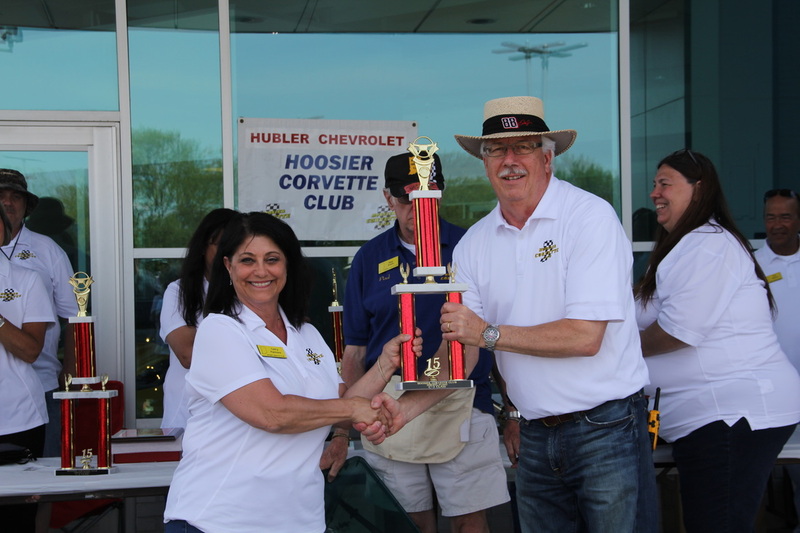 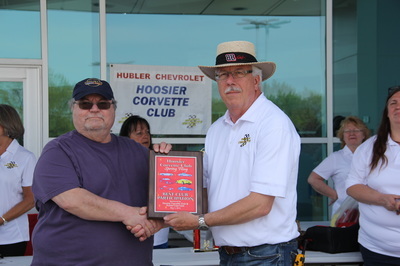 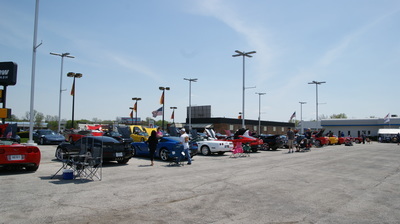 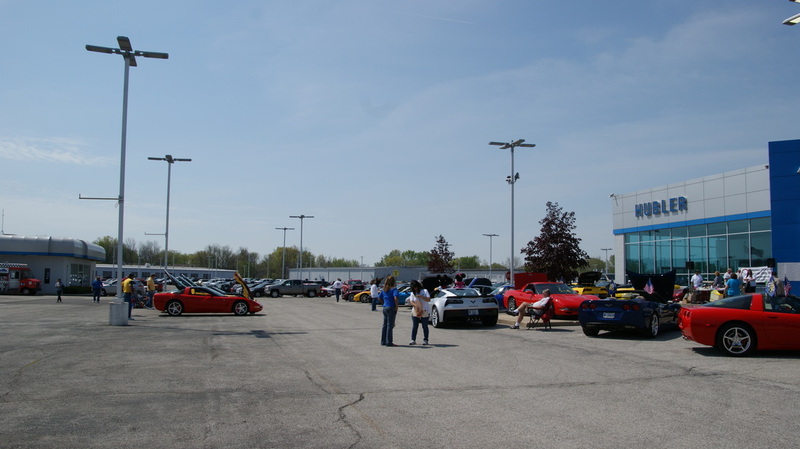 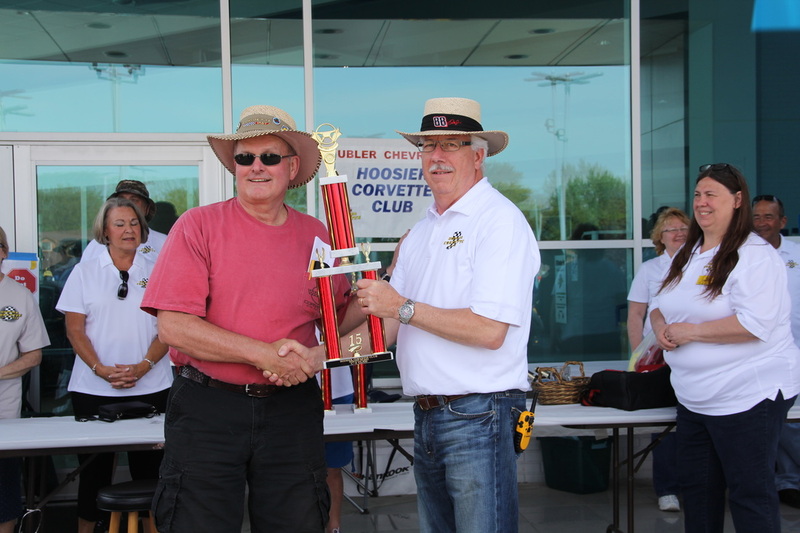 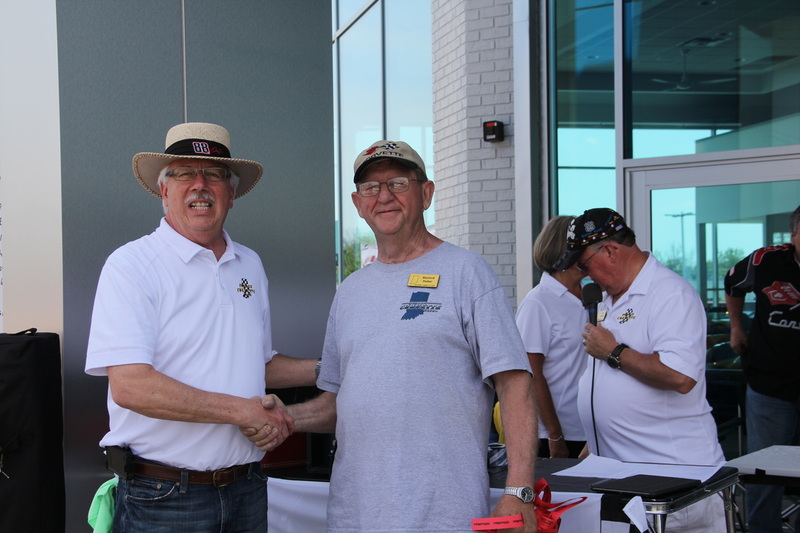 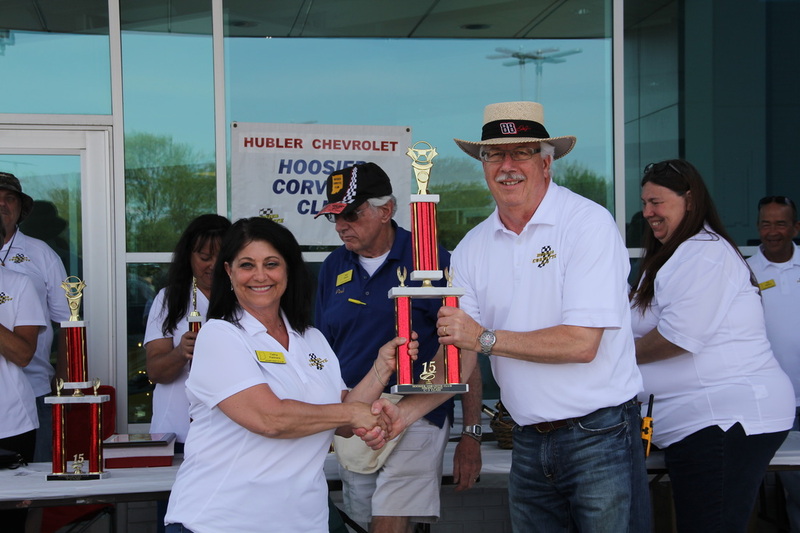 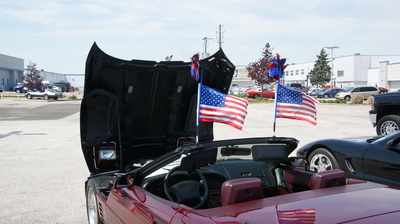 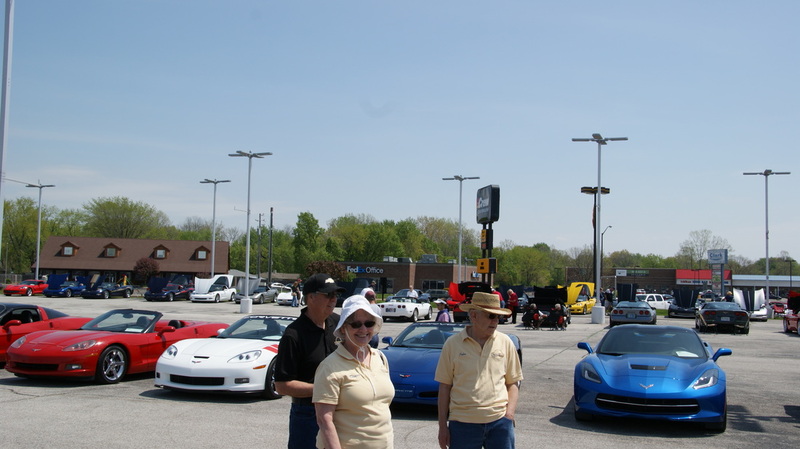 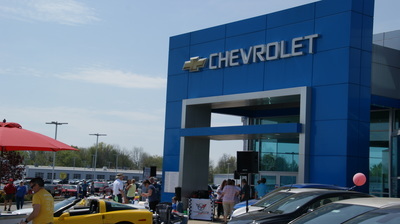 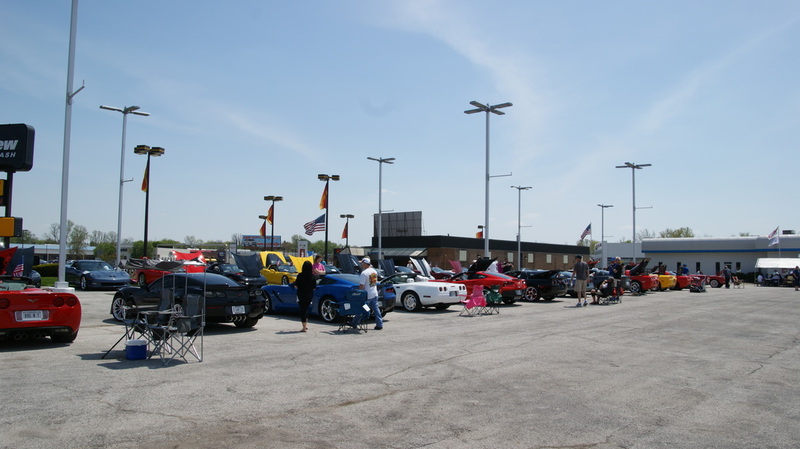 The annual Spring Fling was hosted by Hoosier Corvette Club with this year's event held at their sponsor, Hubler Chevrolet, location on south US 31. 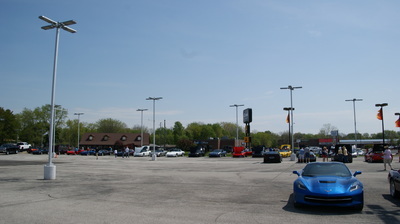 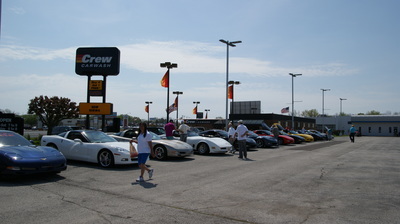 For this year's May 3 event the front lot was cleared out and plenty of room for the over 75 Corvettes that attended. 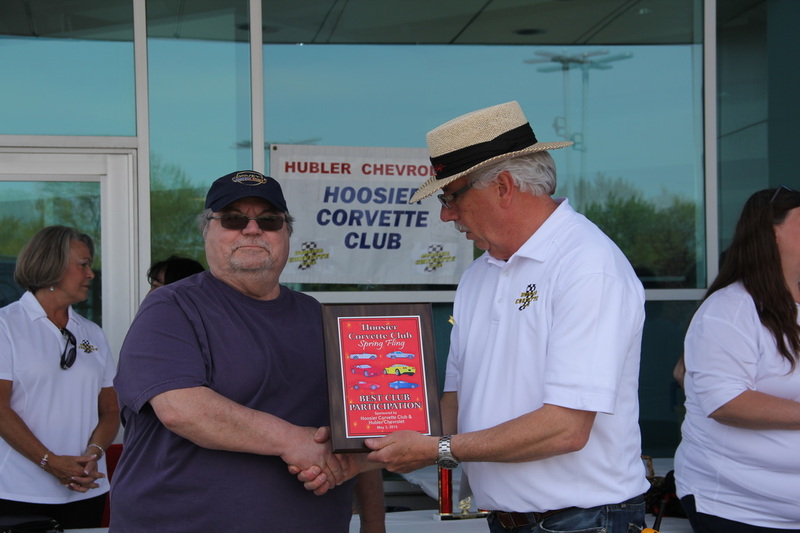 The host club had a DJ playing lots of oldies and an number of raffles and different drawings for a large list of prizes donated by a number of local businesses. 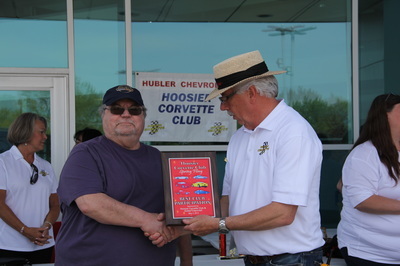 There was also the peoples choice car show selections with trophies given for the top car in each C1 - C7 class. There was also a participation plaque presented to Corvette Indy for their 30 Corvettes in attendance.